November Desire to Inspire is looking for a November Challenger! Who loves farm life? And chickens? And adorable chicken coops? This collection is for you! 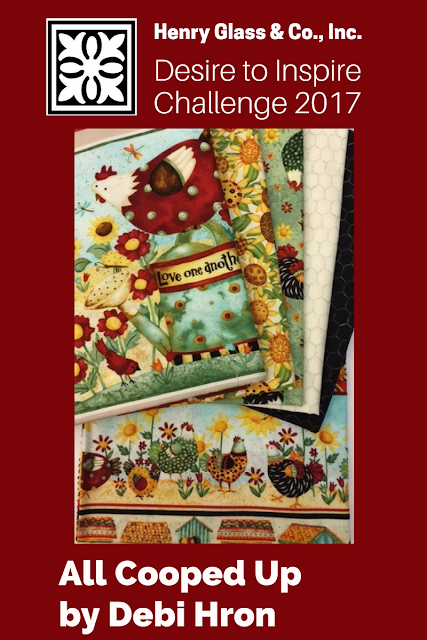 If you are selected to be the Desire to Inspire challenger for the month of November you will have this fabric before ANYONE in the USA has it! That's right, this collection doesn't ship until December, but you can have it first, and make whatever you want with it! You only need to have it ready for photos by the end of November! Here are the rules for Desire to Inspire. Pretty easy, actually. 1. Put your name in the hat by sending an email to vanessa@jaftex.com. Be sure to include a photo or two of your latest or greatest projects, just so we know you are for real and can do this. 2. We pick a winner and send out fabric FedEx so you can start on your quest as soon as possible. 3. You sew in a flurry and frenzy all through November, and send us your project pictures and a little bio about yourself by November 30. Plus you keep everything you made! Okay? Whose in? Or who loves chickens? Send your emails now. Go. Here is the whole collection, you will receive several pieces from the line. October Desire to Inspire Challenger - Barbara Esposito is clearly inspired! 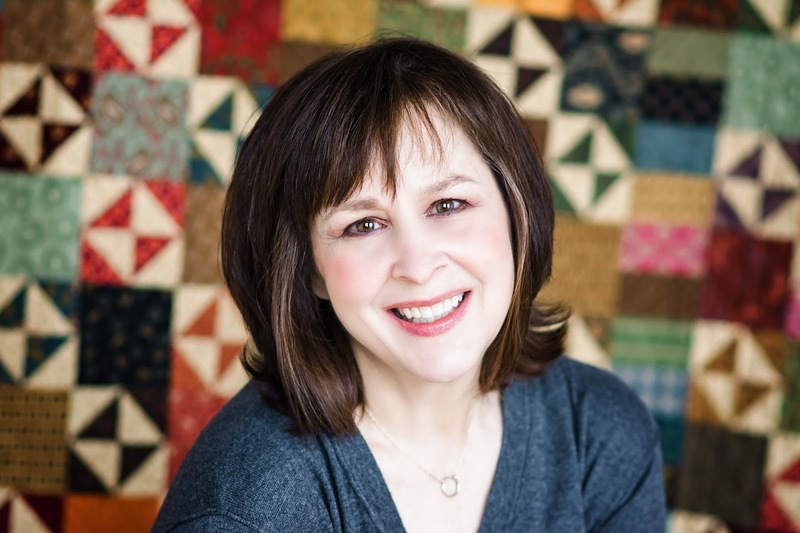 Meet Barbara Esposito, sewing friend of all the Jaftex companies. She shares projects often on Instagram and Facebook with our fabrics. 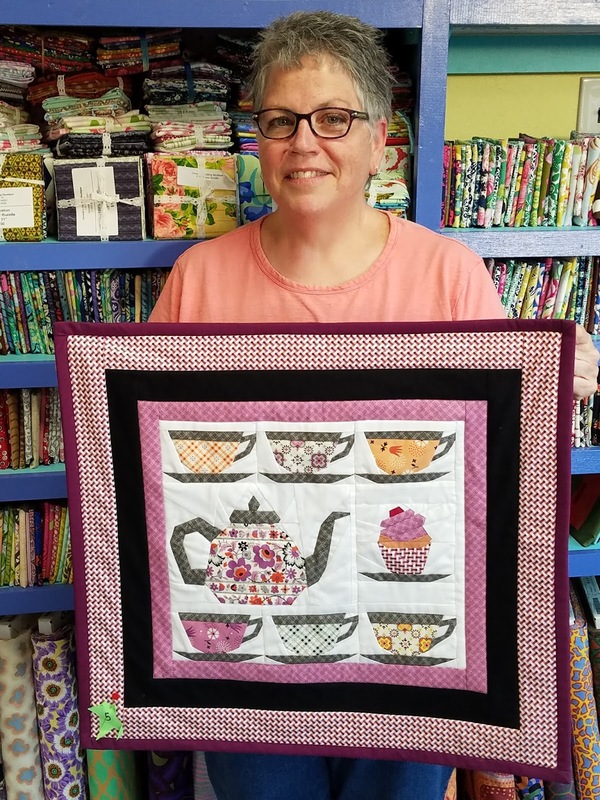 In fact, one of our sales reps has been using Barbara's projects to show shops what great things you can make with our cute designs. For this month's challenge Barbara had "Hop To It!" 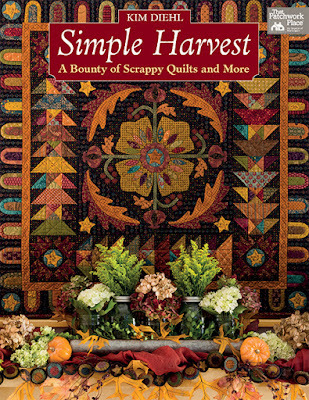 collection designed by Shelly Comiskey, and ships into shops in November. Here is her story. Be sure to comment at the end and let her know how awesome her projects are, and how marvelous her photographer hubby is too! Hello! My name is Barbara Esposito. You can find me on Instagram @thequiltedb. This is Stitch and Snip and the day the fabric arrived for the Desire to Inspire challenge. I live in Southwestern Connecticut with my husband Joe (my camera guy, color consultant, and best friend), and my two cats, Roscoe and T-bone. I love the fall in New England – my absolute favorite time of year. When I am not sewing, you can find me baking or biking with Joe. We love to ride to the beach. When we take the “long way around” we stop for ice cream – Joe calls that striving for equilibrium. We also love finding new Rails to Trails routes around Connecticut and New England. 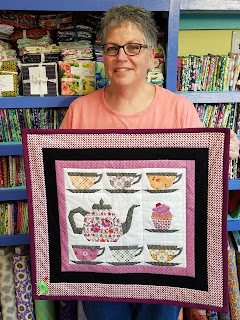 I have been quilting and sewing for more than 15 years. I was not born to sew! Mom: Where are you going with those pants? Me: To your sewing room. They’re too long and I need to hem them. Mom: Oh no you’re not! Just give them to me and NEVER step into my sewing room again! OK, maybe not quite so melodramatic, but I was not of the sewing ilk. Then in the mid 70’s (yes, I am that old!) my sister Nancy asked me if I wanted to learn to quilt. Remember that the rotary cutter and quilting rulers were not available until 1979. Nancy did lot of hand piecing. And she used cardboard templates to cut up her fabric. “Cut up the fabric and then sew it back together again?? That’s a bit insane, don’t you think?” I said. Nancy rolled her eyes and never brought it up again. Fast forward to early 2002 and a Pastor’s wife inviting me to join the ladies’ quilting group. I had some friends in that group. “I don’t want to cut up all those little pieces and sew them back together again!” I said. “It’s easy. There are fancy cutters and rulers that make it fast.” they said. “And we have snacks after sewing!” “Snacks?? OK it can’t be all bad” I thought. I was hooked after my first meeting. I will confess that it took me over four hours in the fabric store to pick out my fabric. A friend with the patience of a saint was with me and the only reason we left after 4 hours was because she had to pick her kids up from school and threatened to leave me there. “Eight coordinating Fat Quarters” meant to me that they all had to be the same color with no other colors mixed in. They could be different patterns, but only blue and white could be in the fabric. I am happy to report that things have changed and I have progressed. Sometimes I even get all crazy and put stripes and polka dots in the same quilt! Color is still my weak suit, and I am thankful to have Joe and my sister Nancy to use as my color consultants. Sometimes I even drag my neighbor Lindsay into the mess. I am of late, more apt to look to fabric collections to save some myself angst. That is one reason I loved working with these Hop To It fabrics. Henry Glass Co sent them and said, “Here…create!” I knew the fabrics belonged together. OK…I did still need to check in with my color consultants about placement and whatnot, but most of the color work was already figured out for me! I love to teach beginners to sew and quilt. Corny as it sounds, I really do have a Desire to Inspire. It is so much fun to see a beginner’s reaction when they realize they can actually make something with their own hands. 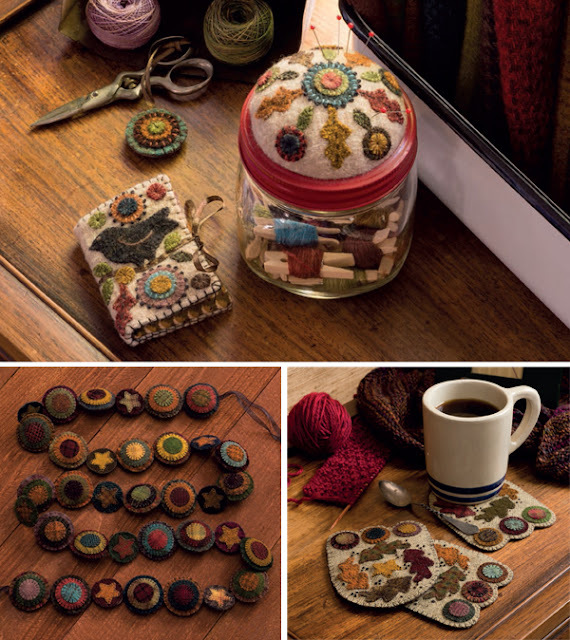 They come to the sewing table with no pre-conceived notions about can and can’t. They trust that you will show them and that they will do it. Teaching beginners is one reason I love simple quilt patterns. Don’t get me wrong. There is a place in my repertoire for complicated. I love to foundation paper piece. I am addicted to English Paper Piecing. I just pattern tested a quilt pattern for a designer that almost killed me because I decided to make it scrappy, but I loved the challenge. Sometimes, though, simple is good. Like when you have FOUR baby quilts due for December babies! Yes, that’s December 2017. Simple can be a good opportunity to play with pattern or color. 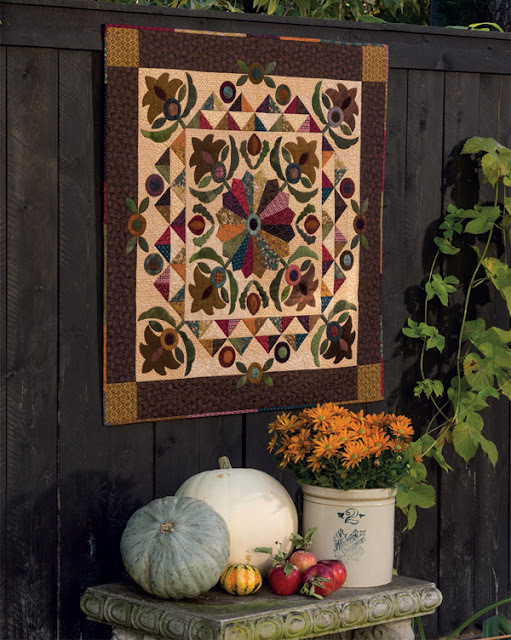 The pattern I used for this challenge quilt is a freebie from Wood Valley Designs (woodvalleydesigns.com). It is called, simply, “Picture Frame” and is one of their “Three Yard Pattern” designs. With the simple patterns, beginners get a real sense of accomplishment and are not afraid to move on to more complex things. So often I see quilters who compare their work to what they see on the latest blog, or You Tube channel and are discouraged because their project isn’t “perfect”. “Look! My seams don’t match up!” “I can’t quilt it like she did!” or worse, “I’m afraid to try that _______ (new technique, pattern, style – insert what scares you) because I can’t do it as well as her or him.” Let it be known that I am making it my personal mission to dispel the myth that only perfect is good! I would love to share a crazy little story with you if you can hang on a minute or two longer. My sister Nancy was having a conversation with a woman with whom she works. They were talking about me (crazy, right?) 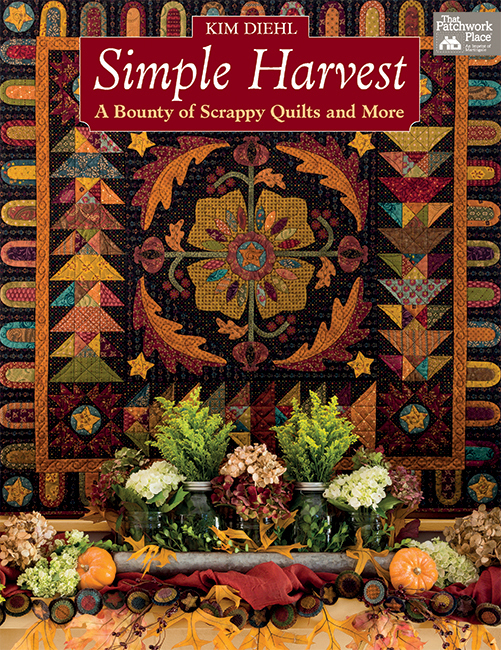 and Nancy mentioned that we quilt together (she’s a good sister – she forgave my teenage snub from back in the 70’s). It came up in conversation that I lived on Block Island in RI when I was younger and have a friend who owns several shops on the Island. She told her co-worker that I had sold some quilts in my friend’s shop over the years. Here is the crazy part: Her co-worker has a 12 year old daughter. The daughter received a quilt from a relative when she was born. The quilt was purchased on Block Island in Rhode Island. Can you see where this is going? My sister asked for a picture of the quilt. As she was telling me this story she said, “I don’t think it’s one of your quilts. It is not your style at all.” She showed me the picture, and can you guess? It was one of my quilts. At first I wanted to say, “Nope…you’re right…it’s not one of mine!” It was not exactly one of my finest let me tell you! But then it hit me. Someone thought my quilt was beautiful enough to buy for a new baby. Someone was grateful for the friend who bought that quilt. And someone loved it enough to keep it on her bed for twelve years! Here’s the point: Sew what you love from a heart of love, and love what you sew. Finished and cherished is so much better than perfect. Seriously. It is. In closing, I would like to tell you all that I consider myself blessed to be offered this Challenge. 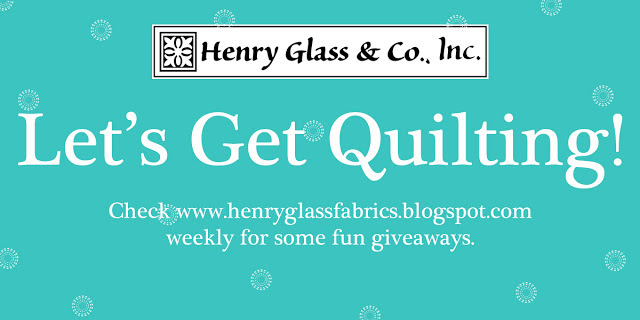 It is an honor to be allowed to share with you and I thank Henry Glass Co for this opportunity! Now Hop To It and go sew up some love! And be sure to tag me @thequiltedb because I really would love to see what you create! 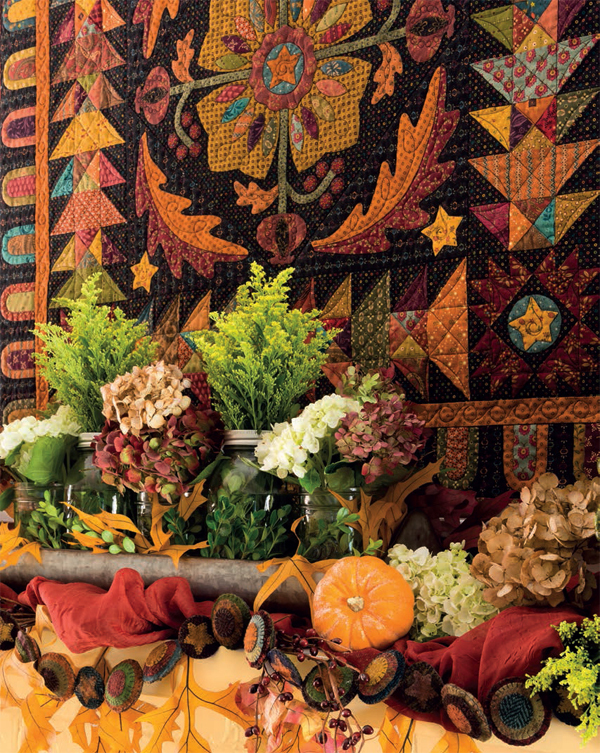 Let's Build by Nidhi Wadhwa arrives in quilt shops this month, and is the fourth collection by Nidhi Wadhwa of Blue Fish Designs. This fabric collection features bright and animated construction vehicles perfect for boys. There is a 36" panel showcasing these fun-loving vehicles at a construction site. Other patterns included in this 16 SKU collection are buildings, mini construction vehicles, tools, construction signs, bricks, a stripe and large trucks. There is even a large block print featuring the vehicles. The blocks measure approximately 10" x 10" and can be used for quilt projects or pillow cases. "Linen Closet" is a basic here at Henry Glass & Co., Inc. because this is one of those collections that you SIMPLY MUST HAVE in your stash. Everyone needs a neutral now and then, and this collection from Janet Rae Nesbitt is the one to get. "Linen Closet" is in stores now and will be for the near future. Make sure you stop in and get yours, or sign up for a chance at this weeks giveaway to win a 6- pc bundle. Fall is the season of romance if you ask me. Days are perfect temperatures. Nights are cool and crisp. Long walks are called for because the scenery is so grand. So here is the Romance collection giveaway this week, to go along with the mood. The Romance Collection by Color Principle ships in November, but one lucky winner will get this 7-pc bundle early! Will it be you? Barbara Esposito lives in southwestern Connecticut - and is currently waiting for the beautiful New England colors to emerge. What a place to be this time of year. 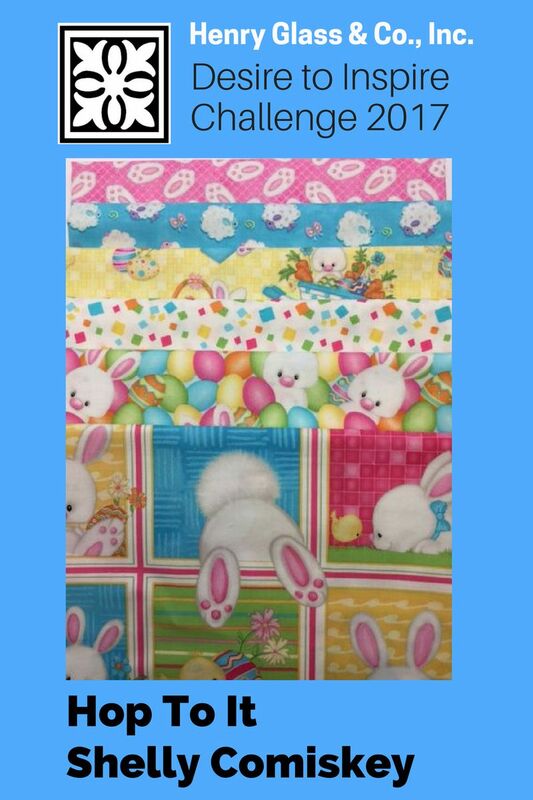 And lucky Barbara gets to put her head in the game for Easter season as she gets to work with this cute bunny fabric this month. Also lucky, because she is the first consumer to have this fabric! Everyone else? 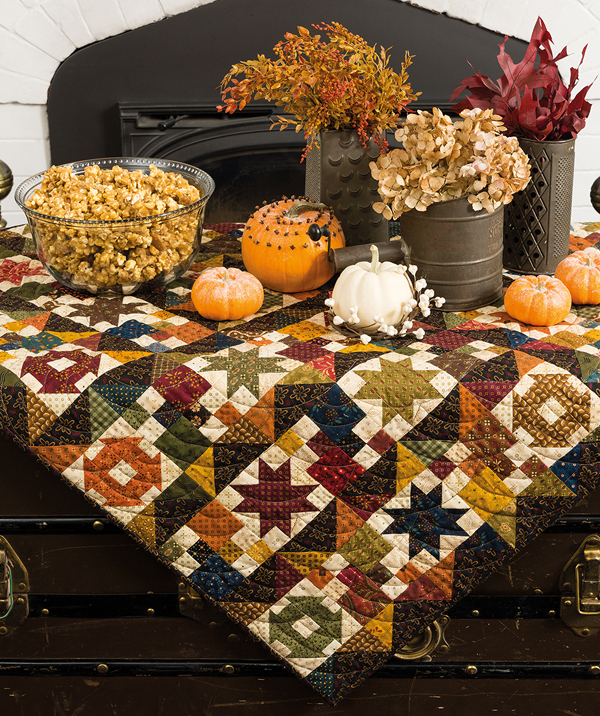 Get ready to hop out and get yours in November, as that is when it will ship into a quilt shop near you. In early September, Scott Fortunoff wrote the following blog about helping people who had been disadvantaged by the hurricanes, fires or who simply don't have a sewing machine. He has since gone on to give away SEVERAL free sewing machines. We want to share this blog with you, in case you didn't see it, and if you know of someone who does not have a sewing machine, send them over to comment on Scott's blog on the www.StudioeFabrics.com website. Or click that link to read the original post from Scott. Good morning! How are you today? I hope you are withstanding all the crazy storm madness which has thankfully slowed down a bit it seems. This too shall pass, so hang in tight and don't forget to breathe. Can you hear me alright? Okay then, let's get this contest going. People keep asking me what I am doing about helping those in Texas, Florida and surrounding areas who have been adversely affected by the storms. That is a great question that I too keep asking myself and I think I have finally found the answer. Yeah, I could make donations as I have already done. I could send blankets and food which I have already done too. But most anyone could do those sort of things. But you know me, I like to beat to my own drum and do my own thing. With that, I am going to go out on a limb and try something, well.....unique. Call me crazy, but here goes. As I mentioned in a very recent blog post, I was going to give away the sewing machines that my good friend Joanne Hubbard donated. By the way, Joanne is my BlogFF (BFF). I digress. So yeah, the sewing machines. Aside from offering the machines from Joanne, Brewer is generously donating a machine for the giveaway from their Eversewn brand. But that just isn't enough for me. You know what I am saying? That would be around 5 machines and I want to do more....way more. Why the heck not? People are suffering and I want to do what I can to ease the pain, even if it is just a little bit and helps to put a smile on someone's face. I am sure you are wondering what am I going to do. So let me tell you already and stop blabbing away. I called my new friend Philipp Ueltschi, the Brand Manager of Sewing Machines at Brewer (his brand is EverSewn), and he kindly agreed to sell me machines at a special discounted price for my self proclaimed great cause. These are machines that retail for $200-$400. After I give away the 5 or so machines that I already have, I am going to start giving away BRAND NEW machines on a weekly basis for an indefinite time period. Yes, you are hearing me correctly. Now hear this one more time! I am going to buy machines, a lot of machines, and give them away for F---R----E----EEEEEE to people that lost their machine in the storms, never could afford to buy their own machine in the first place or a young person that wants to learn how to sew. I am open to other reasons as to why someone should earn a new machine. One more time, let's say it together because it sounds soooo freaking good. Free. I can't hear you. You can do better than that. One more time. FREEEEEEEEEE. Weeeeeeeeeeeeeeeeeeeeeeeeee! Now you got it! In addition to the free machines, I will be sure to include some other goodies.....maybe some fabric, maybe some notions, maybe some batting, it will be a surprise, but it will be "beast" as my son likes to call it and that is a good thing no doubt. With that, let the requests start flowing in. And yes, please have fun when submitting your requests. 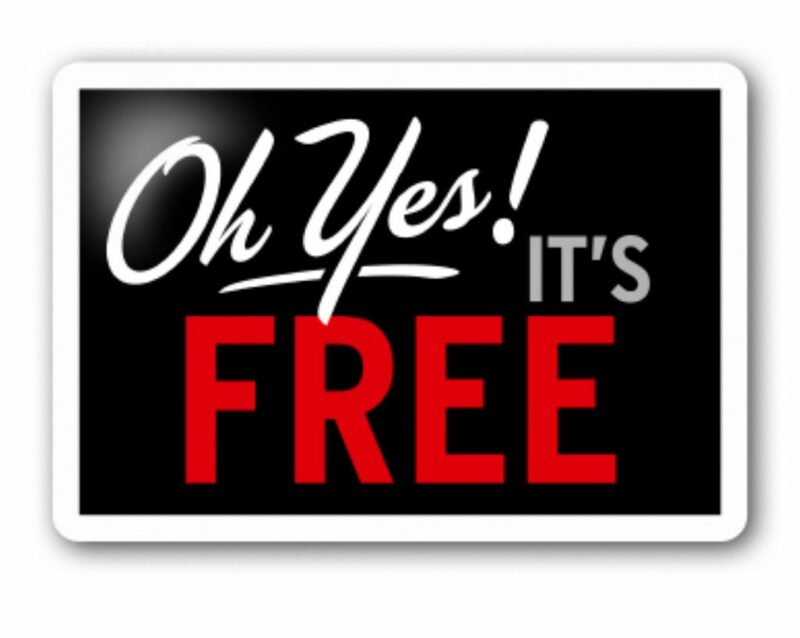 Send any and all questions to scott@jaftex.com, but please don't drive me crazy because I do have a regular full time job and it isn't President Of Giving Free Sewing Machines Away if you know what I mean. No phone calls. You will be sure to know through our social media venues and my blog who the winners are as I announce them. Please know that this is my contest and I make the rules and all the final decisions. That's just how it needs to be. I am also giving myself permission to post details of all requests and pleas so if something is very private or you don't want your name used, please make sure to let me know. Good luck! Please make sure to share this with anyone you know who might be eligible to win especially in Texas, Florida and surrounding areas. The last thing I want to say is that I can't wait to see the faces of the winners when they find out that they are getting a new machine from me. That to me is priceless. Therefore, if you happen to be a winner, make sure to post a picture of your smiley face and your new sewing machine on any or all of my company's (Studioe Fabrics, The Blank Quilting Corp. or Henry Glass Fabrics) Facebook, Instagram or other social media arenas. Janet Rae Nesbitt of One Sister Designs has been VERY busy. We have been announcing the arrival of her upcoming book called "Crazy Crooked House" on October 20 on social media. 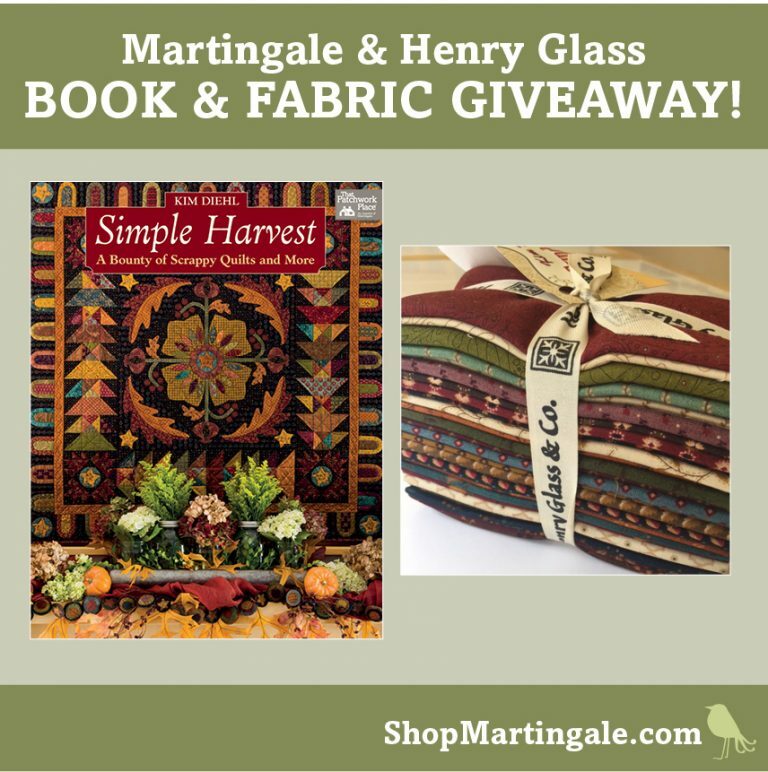 We want to make sure you have seen our Instagram page, so one of the ways to enter this contest is to visit the Henry Glass Instagram page. This collection’s prints have a sweet essence, as warm and inviting as a berry cobbler on a cool spring day.You will be drawn in for hours of quilting pleasure. The designs in the collection are layered tones colored in different hues and values that seem to float across the fabric. There are 19 pieces in the collection complemented by a six piece selection of coordinating yarn dyes. Be sure to take a look at One Sister’s Linen Closet Basics that coordinate perfectly with Berries & Blossoms. And this month her Berries & Blossoms collection ships into quilt shops! Let's Get Quilting - 6 pc. Berries and Blossoms bundle designed by Janet Rae Nesbitt of One Sister Designs.